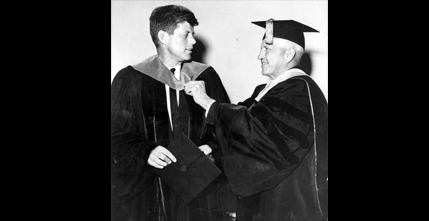 Senator John F. Kennedy receives honorary Doctor of Laws hood, June 6, 1956. 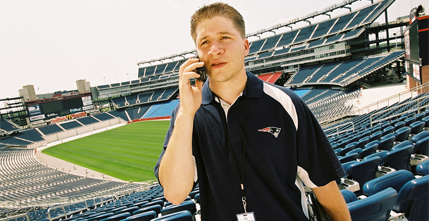 Brian Thelen at Gillette Stadium during his co-op with the New England Patriots, 2003. 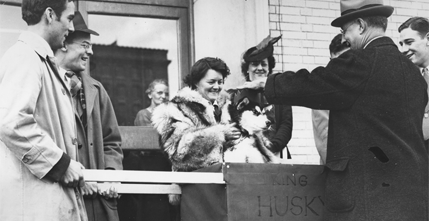 Eva Seeley, center, presenting King Husky II at his coronation, 1942. 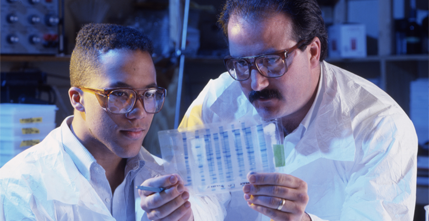 Engineering co-op, Shaun Meyer, and supervisor Charles Vecoli in a laboratory at Integrated Separation Systems, 1987. Explore a Northeastern University timeline from 1896 to present. Access a list of Northeastern Corporation and Board of Trustees members. View a list of commencement and honorary degree recipients. 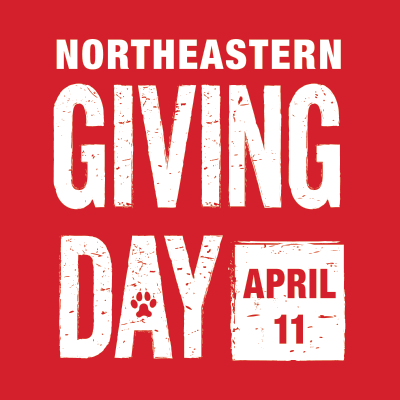 Learn more about Northeastern's husky mascot and school colors. Interested in learning about the University's past, access five histories freely available for reading or downloading from the Internet Archive.